Advancements in technology over the past few decades has been all about shrinking down computers. We’ve also seen manufacturers cramming as much power in them as humanly possible. This has led us to the creation of small form factor desktop PCs, portable yet powerful gaming laptops and even handhelds. Despite the fact that a faster computer is almost always appreciated, a lot of people don’t need all that power most of the time. Especially when responding to e-mails, or writing up text documents. In this scenario, a lot of people can get away with using a Chromebook every day. Chromebooks are different from your traditional Windows laptops. They run on Google’s own version of desktop OS, known as ChromOS. These affordable machines have especially gained popularity among students. This is mainly because of their workflow, most of the time they are writing up essays or watching videos. That is why Chromebooks are so popular in the first place. They are affordable, portable and long-lasting laptops. So, if you’re thinking about getting a Chromebook for yourself, keep on reading to figure out which one is best suited for you. When we think of the perfect Chromebook, what immediately comes to mind is a great screen, great battery life, and a lightweight design. The Chromebook X2 from HP is a 2 in 1 convertible which gets all of the major stuff right. If you’re thinking of getting the complete package, the HP Chromebook X2 is the perfect choice for most people. HP really has found the perfect balance of a 2 in 1 convertible. When we think of a Chromebook, design and build quality aren’t things that come immediately to mind. The HP Chromebook X2 breaks down those stereotypes with ease. This laptop definitely has the best build quality in any Chromebook at this price. It’s thin and light but has a certain heft to it which assures you that it is a quality product. The all metal design paired with a ceramic white finish make this a gorgeous package. The Chromebook X2 is also one of the first convertible Chromebooks, although we’ve seen a lot more devices with this form factor since the X2 launched. The kicker here is that this certain variant comes with a keyboard and pen in the box. 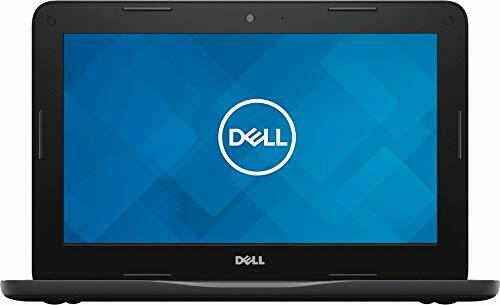 Comparing the cost savings that would give you to other laptops, this isn’t bad value either. As for tablet use, it works quite well. It is a bit heavy to use comfortably but it’s much more manageable than other 2 in 1 laptops. It looks solid so far but the real show stopper here is the screen. This is hands down one of the best displays on a laptop. It has a 1440p resolution with vibrant and punchy colors. The IPS panel also gives it good color accuracy and superb viewing angles. As for performance, it packs more than enough punch for most ChromeOS users. Navigating through the OS is snappy and quick. Lag isn’t an issue here even when using Android apps. Overall, this is hands down the best Chromebook on the market and it’s actually not an unreasonable price tag either. The only downsides are the storage limitations and lack of backlighting on the keyboard. 2 in 1 convertible laptops didn’t really gain traction all that much on the Windows side of things. However, paired with Android apps, Chromebooks seem to utilize the touchscreen much better than Windows. With that said, let’s have a look at one of the best convertible laptops on the market today, which also happens to use ChromeOS. The ASUS Chromebook Flip is our pick. Let’s go over it quickly. This Chromebook is one of the best convertible solutions for work or play. The Chromebook Flip has an attractive all-metal silver finish which looks absolutely stunning. The device is also pretty slender and lightweight. It weighs in at just under 2.6lb (1.2Kg). 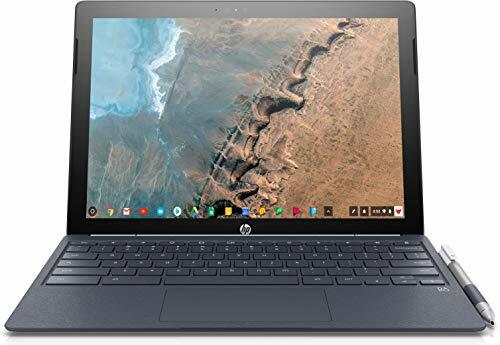 Although you can find Windows laptops that are this compact and sleek, it’s gonna cost you almost more than twice as this Chromebook. Moving onto the screen, it’s about as good as it can get. Colors are vibrant and overall image quality is crisp and sharp. The resolution here is 1080p which is enough for a 12.3″ screen. Viewing angles are superb and the flexible hinge assures that you can get a comfortable view no matter where you are. The Chromebook Flip is just as good for professionals as it is for the casual user. The keyboard is proof of that. The chiclet-style keyboard is perfect for writing up long documents and even in this small chassis, it feels pretty comfortable to use. Other things such as battery life, performance, and portability are also stellar. There is one major issue though, that happens to be the port selection. ASUS seems to have gone the Apple route by including just 2 USB-C ports. Plug in the charger and that leaves you with just one port for connecting things such as external drives. At least there is an SD card reader along with a headphone jack. When manufacturers make a portable Chromebook, certain sacrifices have to be made. Some might have better performance at the cost of battery life. Some might have smaller screen sizes between 11-13 inches. That’s why it can be tough finding a decent Chromebook with a larger screen. 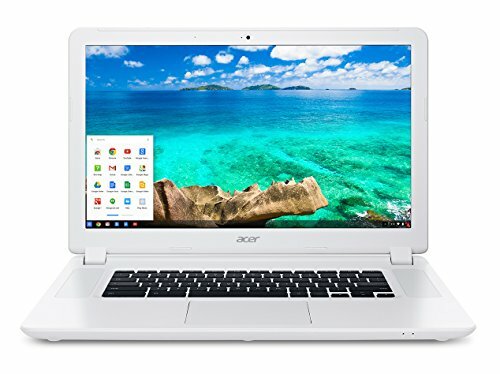 Acer’s Chromebook 15 looks to solve that issue with a large 1080p 15″ touchscreen display and excellent battery life. The Acer Chromebook 15 is a gorgeous looking device. Acer has opted for a fanless design here, which is fine for the Celeron processor inside. The result is one of the best looking Chromebooks on the market. Acer went with an all-around aluminum body and this definitely gives the laptop a premium feel. The white color all around also makes this device look fresh and stand out from the crowd. The keyboard here is chiclet styled and has good backlighting. The keyboard feels comfortable to type on and is an absolute joy to use once you get used to it. We wish the same could be said for the trackpad. This is one of the issues with this device. The trackpad feels imprecise and clunky most of the time. The tracking itself isn’t that great either. Back to the good stuff. The display here is absolutely phenomenal. It’s one of the few 15 inch Chromebooks and it has exceptional image quality. It sports a 1080p resolution along with an IPS panel. Visuals are crisp, sharp and saturated. But the real highlight of the show here is the battery life. Acer claims 12 hours of battery life and the Chromebook 15 definitely fulfills that promise. In fact, you might be able to get 15 hours of regular usage on a single charge. The Dell Chromebook 11 is not much of a looker with its plain all-black design. There aren’t any fancy metals used here, it’s mostly plastic all around. But this device doesn’t aim to be the most premium looking or feeling Chromebook on the market. It actually has a very rugged design with a rubberized edge all around the outside edge. It’s perfect for young students who will be carrying this around every day and they won’t have to worry too much about bumping it into stuff. Another reason why this is a great laptop for students is that of the exceptional battery life. It can easily last students a whole day of class and then some. At regular usage, reported battery life is 9 hours and above. Combine that with the small footprint and you have a portable laptop that should last all day. Of course, Dell had to cut corners somewhere. Sadly, the main sacrifice seems to be on the screen. The screen size is small, to begin with at 11 inches. Pair that with a dim 720p panel and the screen isn’t all that gorgeous. It will suffice for more than most people though, and at the low price point, we doubt most people would mind. Sure, the Dell Chromebook 11 might not be the most exciting laptop out on the market. But it’s supposed to get the job done and it does it well. It’s snappy while moving through ChromeOS, although multitasking could slow it down a bit. 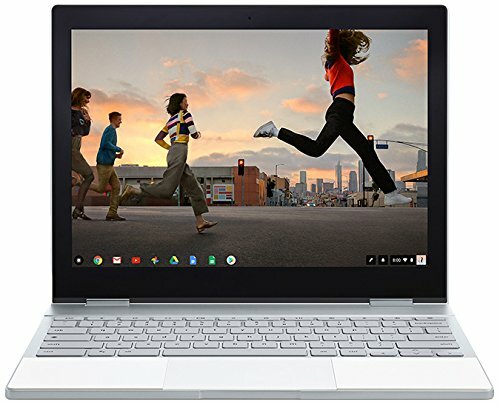 Overall this is the best Chromebook on a tight budget and an easy recommendation for students. Who said you can’t get a premium experience on ChromeOS? The Pixelbook is the best ChromeOS has to offer. It’s truly the best ChromeOS experience. The gorgeous design, great battery life, and insane performance make this the best experience for ChromeOS Unfortunately, at the ridiculously high price, it’s tough to recommend. You know this is a premium product by just looking at it. It has the best build quality out of any Chromebook with an all-metal design, flush edges and even a rubberized palm rest. The Pixelbook is a comfortable laptop to carry around and even better to use. The keyboard here has the same chiclet mechanism seen in other keyboards. It’s an absolute joy to type on and takes productivity to another level. The keys are backlit and really easy to see in dim lighting. The glass trackpad is also precise and has a good feel to it. Performance is also exceptional here. You can equip with either an Intel Core i5 or i7 processor and with either 8 gigs or 16 gigs of RAM. This results in ridiculous performance for ChromeOS. Switching between apps and having dozens of tabs open does not slow down the laptop at all. That performance doesn’t take a hit on battery life either, the Pixelbook easily lasts 10 hours or more. Overall, the great keyboard, battery life, ridiculous performance, and gorgeous design makes this device the best Chromebook on the market. 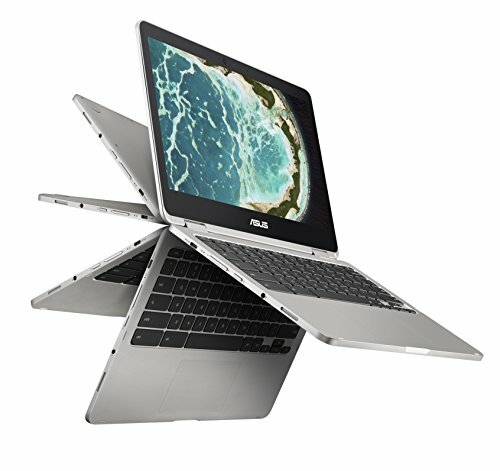 Unfortunately, the price is so high that it competes directly with Windows ultrabooks. That’s a tough battle for the Pixelbook.